The PyroManiacs devote some space each weekend to highlights from The Spurgeon Archive. The following excerpt is from an article titled "The Baptist Union Censure," published as an introduction to the 1888 volume of The Metropolitan Tabernacle Pulpit sermons. This was Spurgeon's response to a censure of him from the Baptist Union, at the height of the Down-Grade Controversy. o say that "a creed comes between a man and his God" is to suppose that it is not true; for truth, however definitely stated, does not divide the believer from his Lord. So far as I am concerned, that which I believe I am not ashamed to state in the plainest possible language; and the truth I hold I embrace because I believe it to be the mind of God revealed in his infallible Word. How can it divide me from God who revealed it? It is one means of my communion with my Lord, that I receive his words as well as himself, and submit my understanding to what I see to be taught by him. Say what he may, I accept it because he says it, and therein pay him the humble worship of my inmost soul. I am unable to sympathize with a man who says he has no creed; because I believe him to be in the wrong by his own showing. He ought to have a creed. What is equally certain, he has a creed—he must have one, even though he repudiates the notion. His very unbelief is, in a sense, a creed. The objection to a creed is a very pleasant way of concealing objection to discipline, and a desire for latitudinarianism. What is wished for is a Union which will, like Noah's Ark, afford shelter both for the clean and for the unclean, for creeping things and winged fowls. Every Union, unless it is a mere fiction, must be based upon certain principles. How can we unite except upon some great common truths? "How can we unite except upon some great common truths?" "TRUTHS"...not the Least Common Denominator of inclusivist, relativistic opinions. The TRUTH- based unity prayed for by the Lord in John 17:20-21. 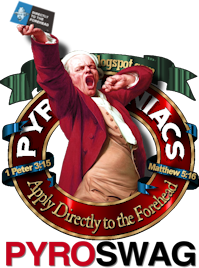 Spurgeon's words are a repudiation of the Neo-Evangelcalism that was to dawn in the early 20th century, and especially for the post-modern circus of the present hour. 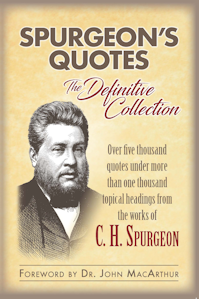 Spurgeon rightly knocks the statement "a creed comes between a man and his God". But it remains true that a creed *may* come between a man and his God. In any case, everyone has a creed of some kind, whether they admit it or not. 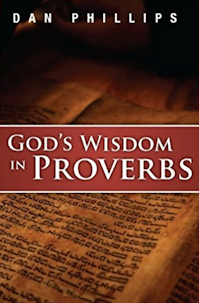 What's important is to be ready to amend one's creed at the drop of a hat if one comes to think that the Word of God differs from one's creed. Many are stuck in Covenant Theology, for example, more because of a creed they've latched onto than because they hold to CT from their own understanding of Scripture. I think of Creeds, and two come to mind: The Apostle's Creed & The Nicene Creed. We proclaimed the Apostle's Creed in service today. It is nice to hear all the saints declaring their faith, and for the most part from our hearts, and not just our lips. What is more dangerous than a creed is thinking you don't have one. 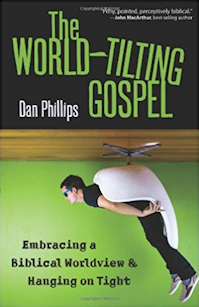 Most of the people trapped in dispensationalism, for example, are so because of tradition or pressure from pop-Evangelicalism. "The objection to a creed is a very pleasant way of concealing objection to discipline, and a desire for latitudinarianism." In other words, people object to creeds because they want wiggle room. creeds are valuable if the point the way forward. they can be a compass to those who have lost their way, and a means of reorienting. spurgeon still lighting fires, a true pyromaniac.